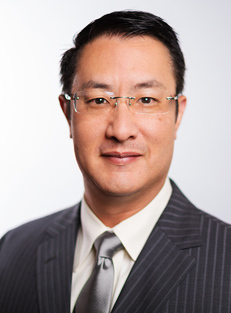 The Bassin Center for Plastic Surgery is proud to announce the addition of Michael Seto D.O. to our Florida practice. Dr. Seto is a board certified plastic surgeon with over 18 years of experience in the field of plastic surgery. Dr. Seto graduated from the Nova Southeastern University College of Osteopathic Medicine in 1995 and completed his Plastic and Reconstructive Surgery Residency at the Cleveland Clinic in Ohio in 2002. He then went on to complete a fellowship in hand and upper extremity plastic surgery at the University of California San Diego, graduating in 2003. Dr. Seto formed the Aesthetic Surgery Institute in Phoenix, Arizona, which he owned and operated from 2003 - 2015. Dr. Michael Seto is certified by the American Osteopathic Association, the Florida Osteopathic Medical Association, the American College of Osteopathic Surgeons, and the American Academy of Cosmetic Surgery. Dr. Seto is dedicated to providing personalized patient care and working closely with each patient to create a treatment plan that best fits their needs and goals. Dr. Seto specializes in a variety of different facial and body treatments, including hair transplant surgery, oculoplastic surgery, facial plastic surgery, body liposculpting, breast augmentation, breast reconstruction, and skin cancer reconstruction.